I was cross-border day-tripping to Watertown, NY when I spotted the heavenly sign. Chipotle, Mexican Grill. That-a-way left to the promised land. This is where the magic happens. 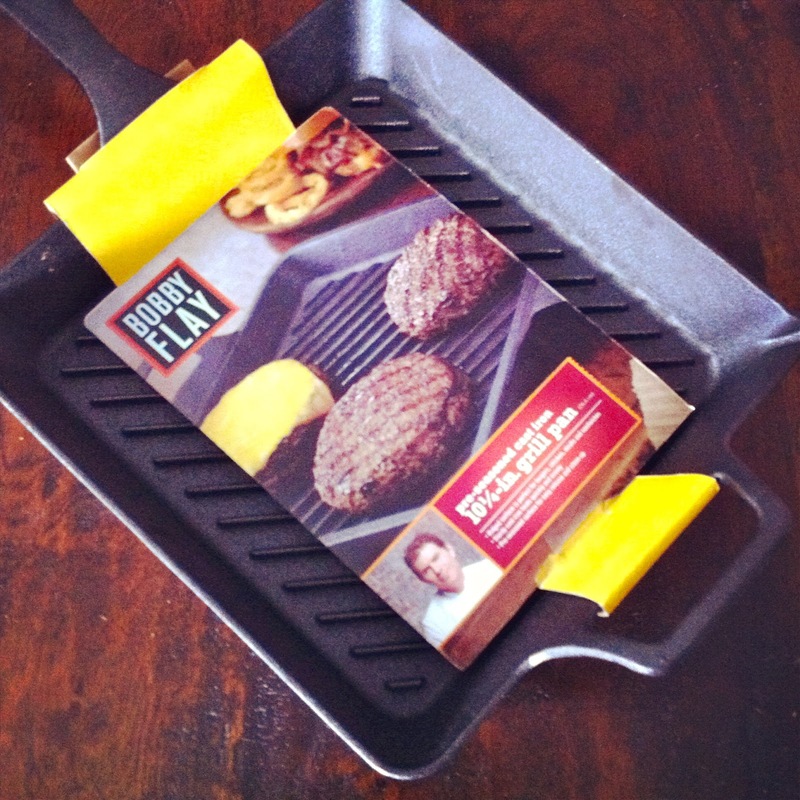 Each ingredient is laid out in front of you so you can customize your perfect meal. For me, it’s the Burrito Bowl. It’s a burrito, in a bowl and filled with dreams, so the slogan goes. Served in a bowl, built on a foundation of brown rice and black beans, topped with zesty adobo-marinated steak, bathed in fresh tomato salsa, adorned with creamy guacamole, and garnished with crisp romaine lettuce and aged white cheddar and jack cheese. This perfect meal is hearty, filling, zesty, refreshing, savoury, fresh and comforting. It will make you obsess for more. And it was the best thing I ate this month. America is the land of the free and the home of the brave. It is also the place where you can get the best junk food. 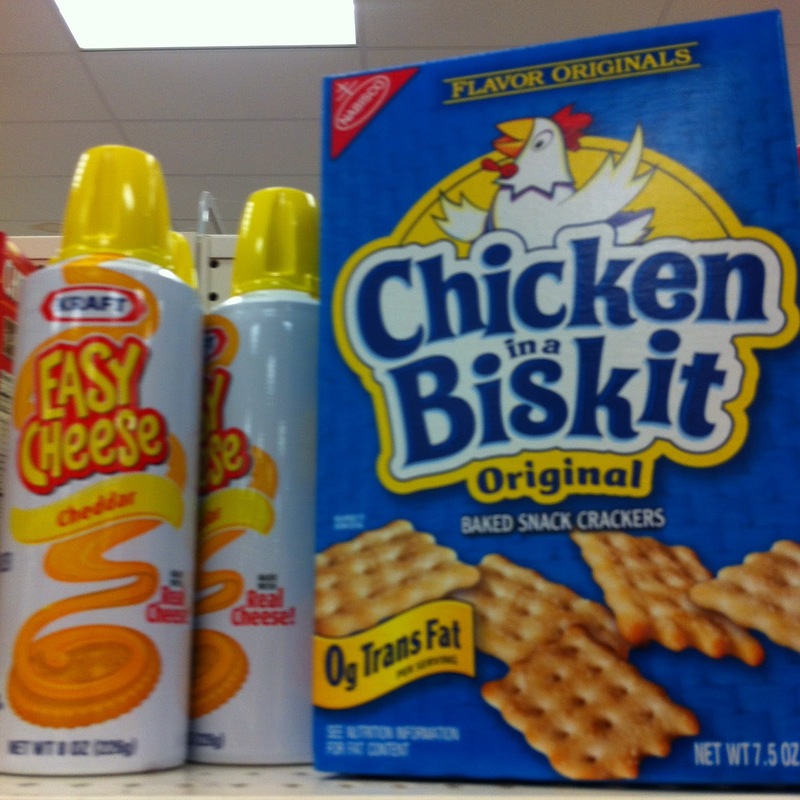 Chicken in a Biskit crackers? Easy Cheese? 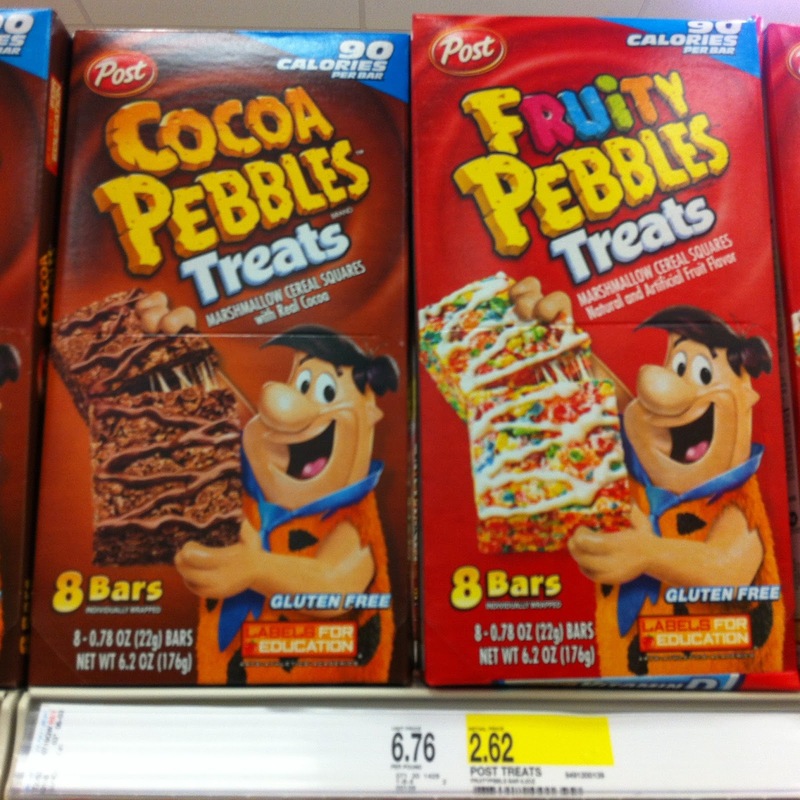 Cocoa Pebbles Treats? 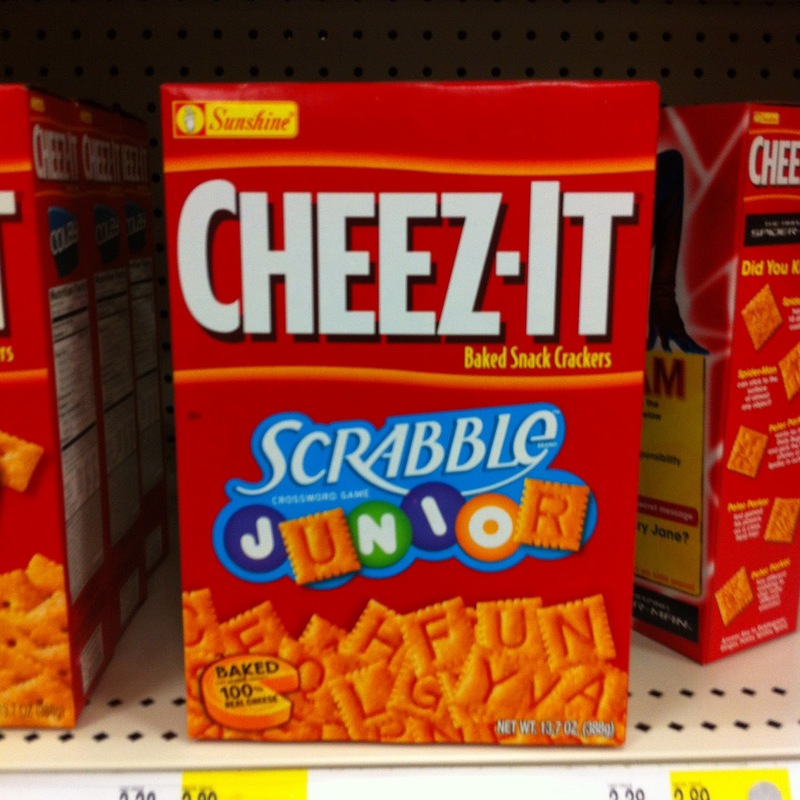 Cheeze-It Scrabble crackers? All brilliant. I hadn’t been to the US since May and I was jonesing for a visit. A cross-border day trip to Watertown, NY (the nearest border town with some decent shopping) was in order. 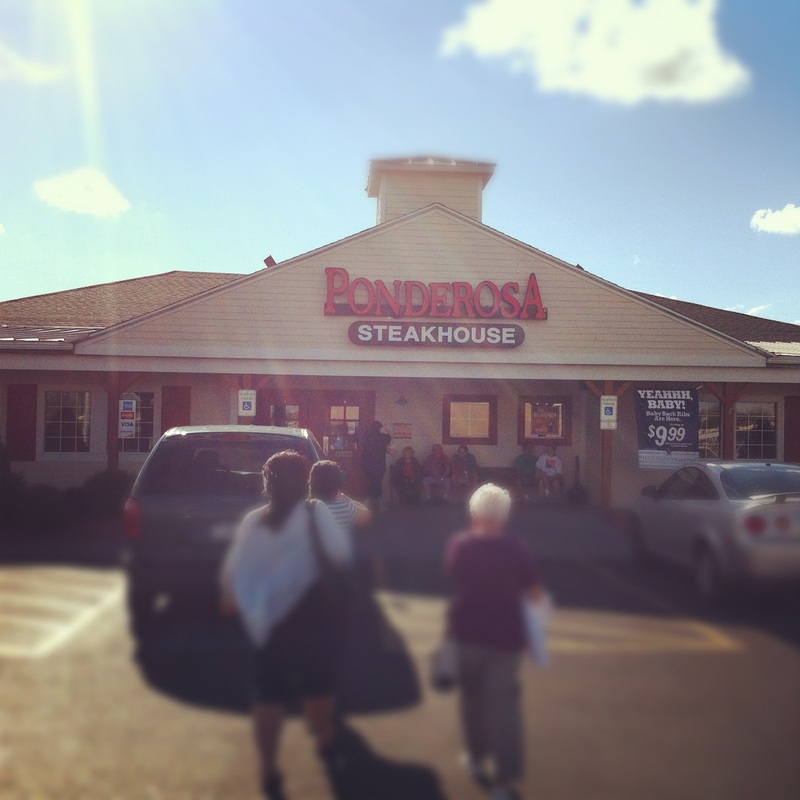 We picked up some new clothes, some grocery items and we ate at the Ponderosa Steakhouse. Good times! 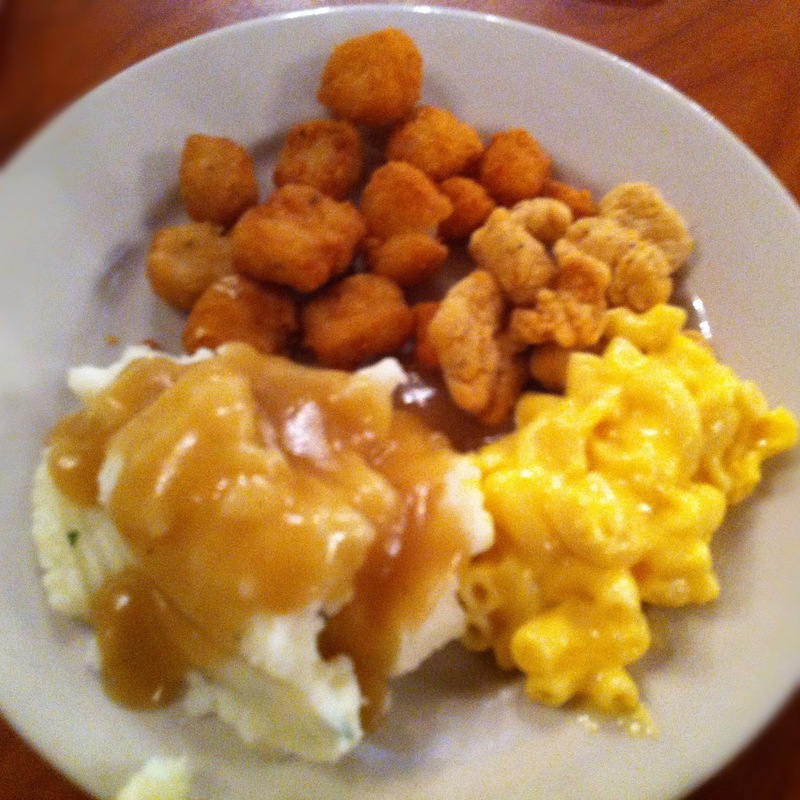 Some of my favourite buffet items: Mac ‘n cheese, mash potaotes and gravy and various fried items. 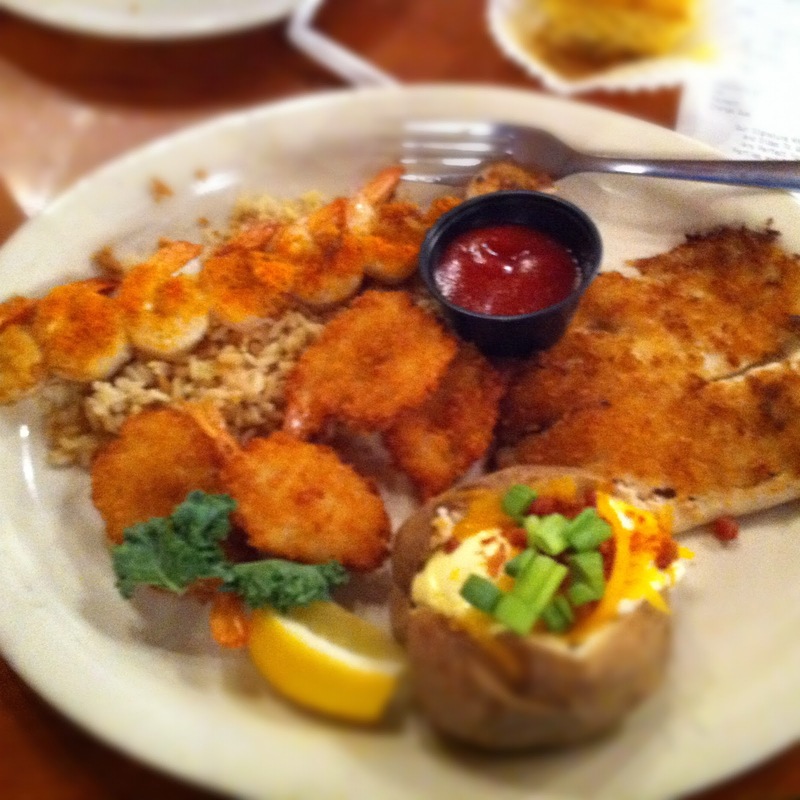 More fried goodness: Shrimp and haddock. Just a tip. 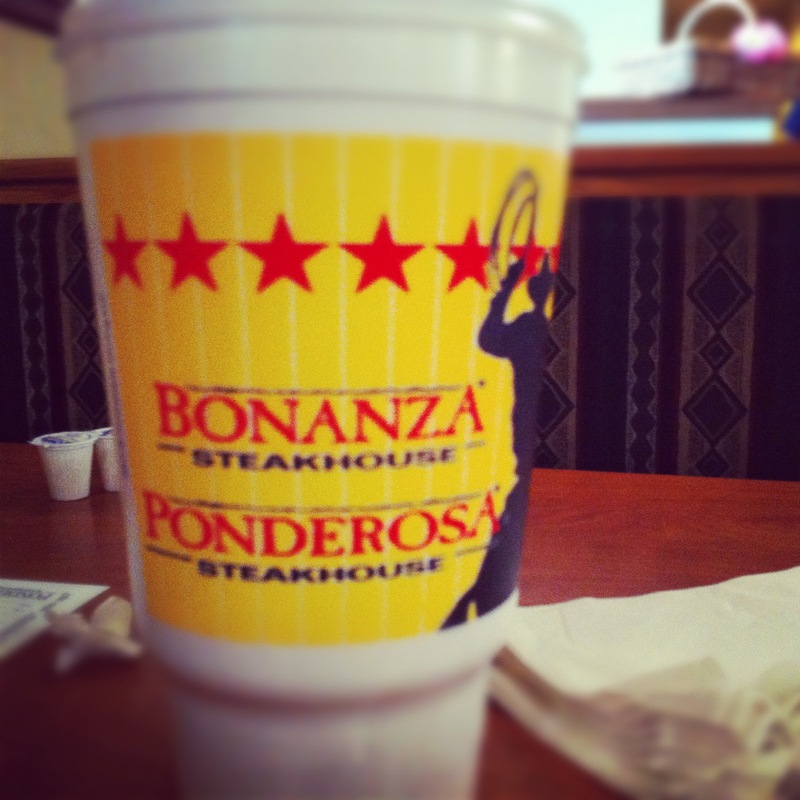 If you order a large drink at Ponderosa, you might be maxing out the capacity of your bladder. 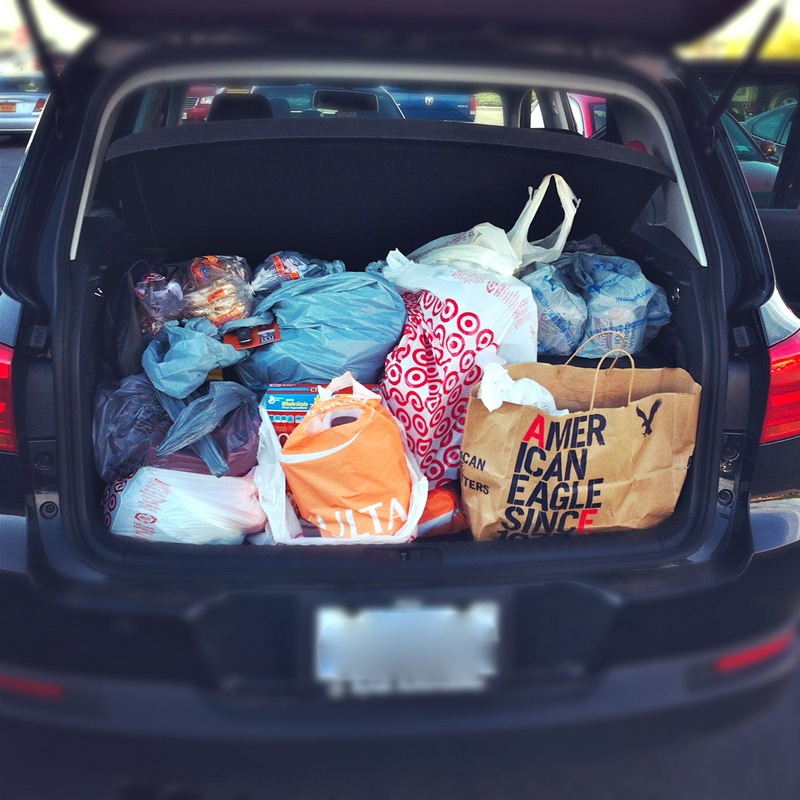 The results of a successful day.